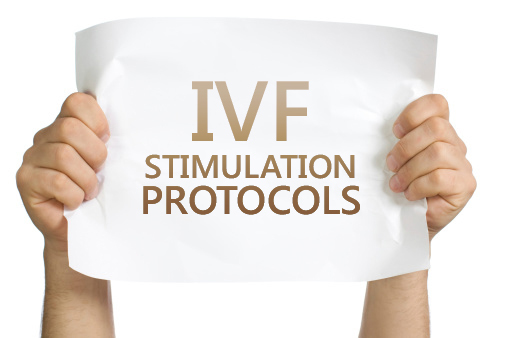 One of the common questions patients ask us is What treatment protocol are you going to use for our IVF cycle ? There are lots of super ovulation protocols available , and many clinics are very rigid and will use only one protocol for all their patients. They follow a mindless regime, because most of the treatment is done by assistants, who dont have the experience or the expertise to be able to tailor it for the needs of the individual patient. Thus, some will routinely use a long downregulation protocol , which uses about 8 days of injections before the period starts, for down regulation before beginning the IVF cycle. Other use a short protocol, which starts from Day 1 of the cycle; while other use a some will use a GnRH antagonist protocol. We take pride in the fact that we will tailor the protocol according to what the patient's requirements are. We are not rigid, because the treatment is crafted personally us, and not by assistants - we dont have any assistants ! This is why its not a mindless checklist protocol , where one size is forced to fit all patients, and everyone is treated the same, no matter what their ovarian reserve is. We customize the protocol depending on the patient's history. The key variables we use are her ovarian reserve ( as judged by her AMH level (https://www.drmalpani.com/knowledge-center/articles/treating-women-with-a-low-amh-level)and antral follicle count (https://www.drmalpani.com/knowledge-center/articles/afc) ; and her ovarian response to earlier IVF cycles. We can tweak our protocol to improve their egg quality, and this is why our success rates are so high. Want to find out which is the best treatment protocol for you ?